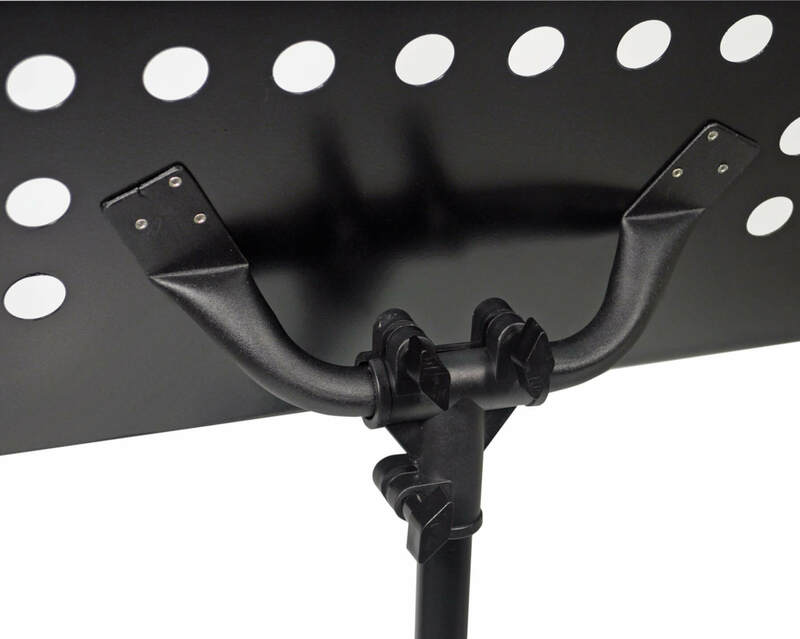 A good quality sheet music stand with height and angle adjustment. 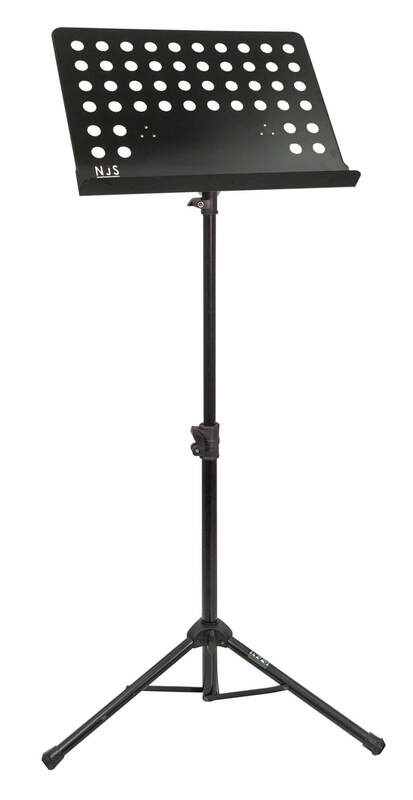 The tripod legs give good stability and with a platter size of 480 x 330 mm it is ideal for several pages of sheet music. Manufactured from metal with a non-reflective black finish. 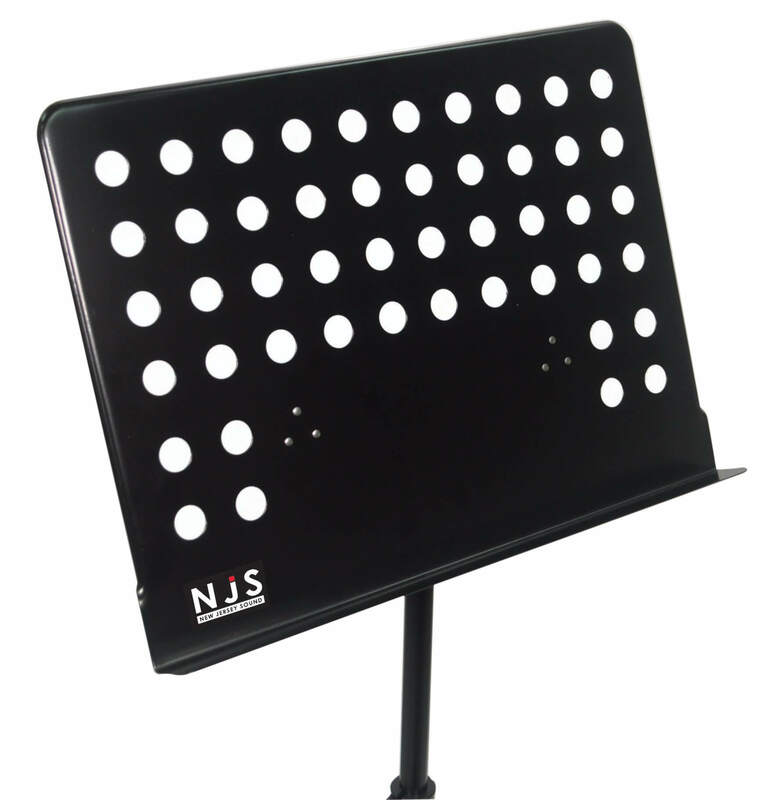 A good quality sheet music stand with height and angle adjustment. The tripod legs give good stability and with a platter size of 480 x 330 mm it is ideal for several pages of sheet music. Manufactured from metal with a non-reflective black finish.